If like me you sometimes struggle with the texture of your meringues follow these easy steps for success, I've found out where i was going wrong! Be sure use a sparkling clean bowl and whisk. Any grease present and your egg whites will not whisk up. Similarly, be sure no yolk is present after separating your eggs. Whisk the whites until they have reached the soft peak stage then start to add the caster sugar a tablespoon at a time. If you add the sugar too quickly you will find caramel bubbles in your finished bakes. When ready, the mix will leave self-supporting peaks when the whisks are lifted and the meringue will not leave the bowl if tipped upside down. The mix will be thick, smooth and shiny. A meringue roulade will benefit from the addition of roasted almonds or hazelnuts. Brown the nuts in a dry frying pan, cool and chop finely before folding into the meringue. Or give the meringues a flash of colour! Before piping your meringues paint two or three thin streaks of bake-proof food colour onto the inside of a disposable piping bag (turn it inside out to do this). Pile your meringue into the bag then see the magic as the coloured mix bursts through the nozzle. Meringues slowly bake and dry out in a low oven. I usually cook mine for 1.5 hours at 150 oC then turn the oven off and leave the meringue inside overnight with the oven door just slightly open. 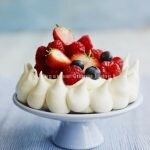 It is true to say that meringues made on a dry day are often better than those made when it is raining. 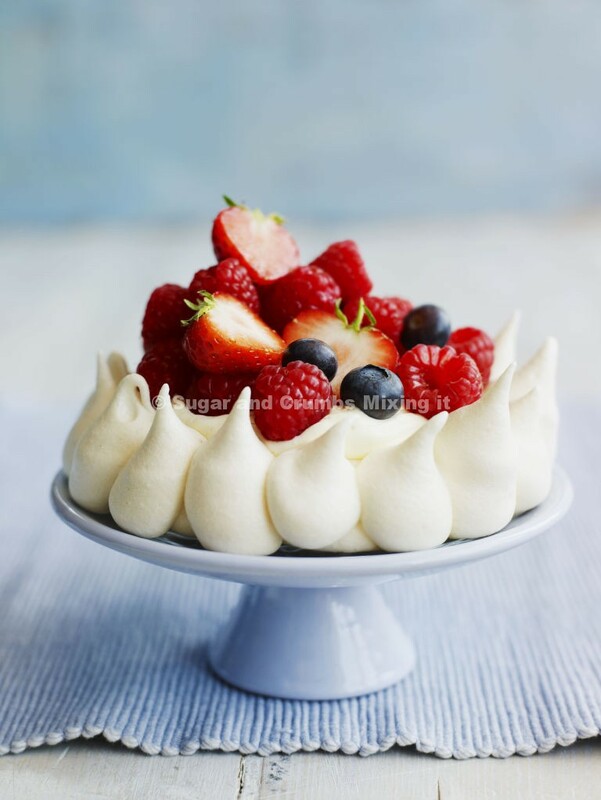 Meringues hate humidity and a damp atmosphere. But a teaspoon of cream of tartar added during the addition of the sugar can help to bind the mixture. If your meringues aren't demolished in one sitting, cooked meringues will keep in an airtight tin for a week and freeze very well. Perfect if you want to get ahead.